While there were no earth shattering experiences during this formative period, what impresses me, when looking back on my 'early employment days' is that I managed to secure solid engineering related summer (and often evenings during the school terms) employment all throughout my high school and university years - and I have to give my father credit for stick handling a number of these employment opportunity 'introductions'. In effect this gave me a head start on other engineering graduates as I had already experienced a total of 3+ years of related technical work before formally graduating in 1983. I worked for David Bensted after graduating from Queens U - but not until after I had survived most of the summer as an unemployed bum, having had the misfortune of arriving on the employment scene in the middle of a nasty recession. I sent out more than 200 job applications before David agreed to interview and hire me for $1800/month as a junior engineer (only 9 of the 110 graduating members of my electrical class had secured jobs by the end of term, in comparison to the year before when each graduating student had a minimum of 3 job offers in hand - talk about missing the train). As a side point, DBA stood for "Danzig, Bensted and Associates" - as in Geoff Danzig, the fellow who had licensed my Concrete Maturity Meter designs (see Performance Solutions - History) and who had also encouraged me to get involved in ITC Microcomponents which became the precursor to Intrinsyc Software (see Intrinsyc Software - Overview & History). Geoff and David had once been partners and Geoff was still operating his own business in the basement of DBA's premises when I was working there. While the main business for DBA was in the design and resale of small business telecom equipment, I was mainly involved in their electrical engineering consulting practice that was involved the computer modeling of buildings, transit systems, communication and transmission lines for electrical grounding performance analysis. One of the more exciting tasks was the modeling of the upcoming Metro Vancouver Skytrain system which saw me walking the tracks, taking electrical measurements, before the system had trains running full time. 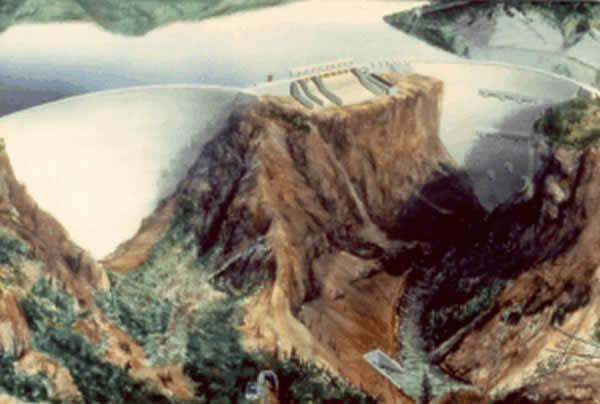 We also did work for the gas plants in Alberta, pulp mills in BC, and BC Hydro electrical substations and even the Tumbler Ridge coal project electrical train system. I remember my last week at DBA very well as I was preparing to walk into David's office and announce that I was quitting to join Ole Jensen at Canysco Industries when he asked me to come in and close the door - and then he announced that I was being laid off for lack of work! That was a close call. My first job working for Dr. Ian Weir-Jones (arranged by my father who worked occasionally with Weir Jones) was in the summer of 1978 when I agreed to take on an assignment as a grade 11 high school student to act as a junior technician and help explore the area around the now-defunct Westwood Raceway for gravel deposits. We dug holes in the ground next to the racetrack, placed blasting caps in them, and then measured the shock waves in the earth from the resulting detonations to see what layers of material lay beneath our feet. It was interesting work involving blasting and electronics. I was hooked. Later that summer I got a chance to install weather instrumentation equipment on the roof of the Harbour Centre office tower - and one afternoon I climbed up the 120 foot mast on top of the building and took photos from 550' above the downtown streets below. 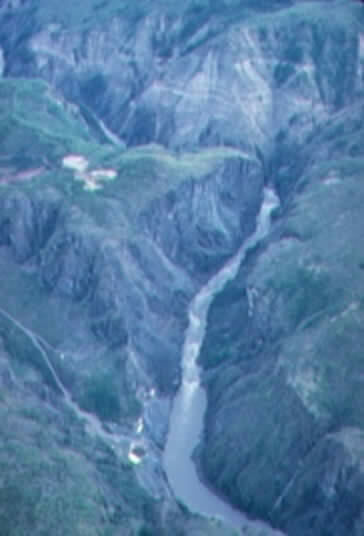 The fall, winter and spring of 1978-1979 I worked for Weir Jones a few evenings a week, as well as many weekends, cleaning up their offices (a janitorial position, no less), and also assembling and calibrating electronic equipment that was to be sent to the BC Hydro Revelstoke dam project later the next summer (I was an accomplished electrical technician by that time and knew what I was doing - see my book, some Childhood Memories for electronics projects I undertook while in high school). I also did odd jobs around Ian's house that year and also bar-tended at some parties he held there in the evenings. It was a crazy experience, but it got me well acquainted with the sometimes conflicting roles that working for family owned businesses can entail. The next summer (1979) I ended up loading all of the equipment I had worked on all winter and spring, into an Econoline 200 van, and drove it, overloaded to the rafters, all the way to Revelstoke myself, and then spent the remainder of the summer up there in a camp with a wide range of stereo-typical camp types - the labours, the engineers and management, cooks, bears, et al. Every day, 7 days a week, we would walk into a horizontally drilled mine shaft beneath the site of the future dam and work in a damp, dark hole for 12 hours (using huge hydraulic jacks to push the rock walls apart with up to 10 million pounds of force while measuring the resulting displacement), and every evening we would pile into a hot rodded muscle car and drive into town and drink in a local bar for 4 hours. It nearly killed me (the non-stop work, and the partying). The good news was that I got to make a lot of money pre-Queens U so I arrived at engineering school in first year with a healthy bank balance. 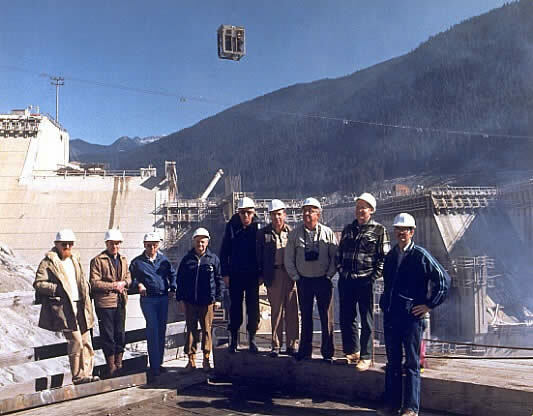 I worked again for Weir Jones during the summer of 1982 up at the BC Hydro dam project near Dease Lake, BC (on the Stikine River). The work involved the setup and operation of geological instrumentation equipment - again, deep inside a mine shaft, and at a camp that was helicopter access only, so there was no partying (a dry camp), only work, work, work, 7 days a week in the middle of nowhere. But again, it paid well. While in second year engineering school at Queens U, I sent a letter to a family friend, Gilbert Auchinleck, that worked at BC Tel, inquiring about summer employment opportunities. I didn't realize that he held the position of President of BC Tel at the time, and needless to say, I got several phone calls from mid-level managers within BC Tel asking if I would like to come and spend the summer working in their department - at very good paying wages. I gladly accepted a position as a technician performing noise investigations of analog step-by-step central office switches and associated trunk and digital transmission lines (at that point in time, digital communications were only just being introduced to the long distance circuits - all residential and most business lines were still connected via analog circuits). 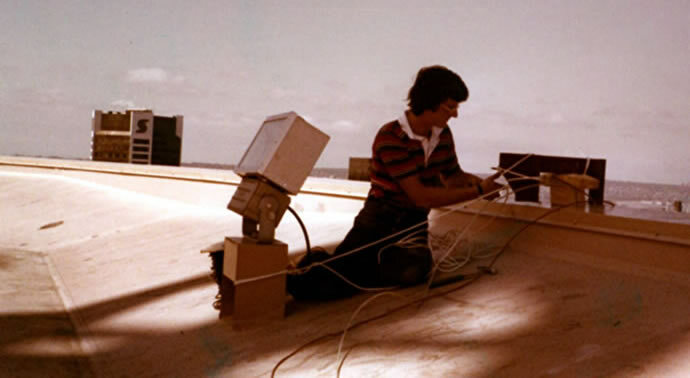 I also took grounding measurements of central offices and micro-wave antennas - experience that helped me land my first full time job after graduating with DBA Communications in 1983. Working for BC Tel was really interesting as I spent a full month in training before heading out to do my noise investigation work, and I also was given the keys to a number of BC Tel trucks - one of which I accidentally backed up into a parked car one day. I drove everywhere from Bowen Island to Hope BC taking my measurements and enjoying the summer. As a side note, Mr. Auchinleck was a ham radio operator who's son, Geof was a class-mate and good friend of my older brother, Douglas'. Geof was one of the people in high school that taught me a lot about electronic circuits - we shared time together in the electronics lab exchanging ideas. I was reacquainted with Geof when I was writing my book, Some Childhood Memories, in 2001 and ended up doing a major music archival restoration project with Geof in 2002, cumulating in a Point Grey high school musician reunion - lots of work but tons of fun - great memories (click here to go to my Point Grey Green Room Reunion web page). I spent the beginning of the first summer in engineering school taking the optional 3 week civil engineering surveying program at Queens U after exams were over. It was a strange experience being on campus after everyone else had left and the cafeteria was closed for the summer. During the day we learned the art of surveying, and at night we did our homework and otherwise were bored out of our minds - waiting, longing to get on the train from Kingston to Toronto and then fly home to Vancouver. When I finally got home the last week of May I started working as a junior mechanical draftsman for JD Kern doing simple industrial and commercial heating, ventilation and plumbing designs (HVAC). It was a pretty straight forward 9-5 job that left lots of time to hang out with friends and otherwise relax. My father's civil engineering consulting company, founded in 1964, specializes in concrete and 'building envelop' technologies. Since my brother, sister and I were very young we were aware of GS&A and it only seemed natural that each of us would take turns doing odd jobs for additional money at dad's office. By the middle of high school I was capable of doing a wide range of activities including making up batches of concrete and running various tests on it, as well as doing office filing, cleaning the premises, and performing other support tasks. At one point in time, I replaced the old phone system with a new DBA communications system - but that was in 1983. 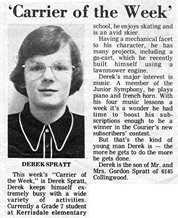 Prior to working at GS&A, I was a Kerrisdale Courier newspaper delivery boy with a small weekly delivery route along 39th Avenue, between Dunbar and Blenheim Streets from 1972 until 1975.